All cute. I love the red plaid with the grays! Aww, thanks! :) I think the red plaid gives it that oomph! Thank you very much! I agree! Grey and Red are sort of classics, right?! cute sauce. I love the little bit of plaid peeking out. Superb blazer, too! OMG this blazer is the bomb diggity. And my "pull any outfit together" saving grace! You are the hottest science teacher out there! 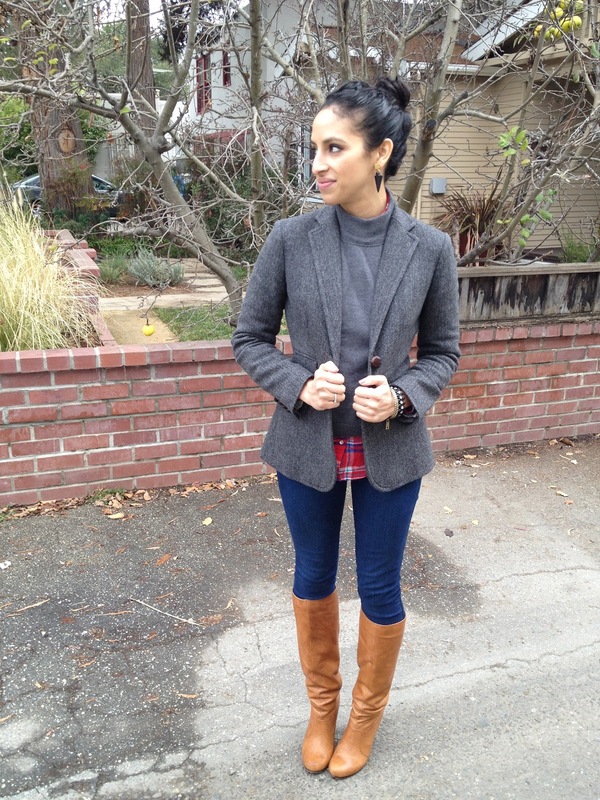 ;-) The plaid is such a fun touch and your boots are the bomb! Haha, love that you are the one who actually pointed out the science teach reference!! <3 you!! oooh, loving your boots! So classic and timeless.